Built on a legacy of outstanding optical performance, the AF NIKKOR 85mm f/1.4D IF shines as one of NIKKOR’s flagship lenses. Its A-M switch allows for fast switching between AF and manual focusing modes. 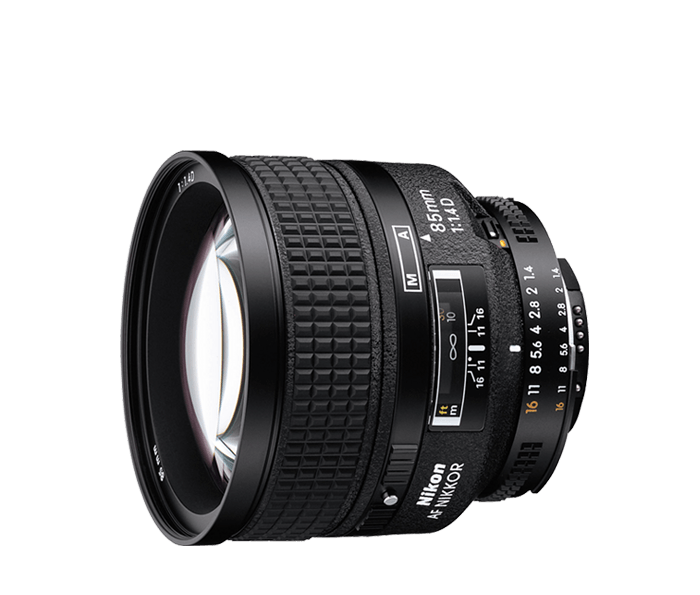 Nikon’s Internal Focusing (IF) technology enables precise focusing without the lens size changing, allowing for more compact, lightweight lens construction and closer minimum focusing distances. The Super Integrated Coating (SIC) prevents lens flare and ghosting, even at wide aperture settings. And the lens’ rounded nine-blade diaphragm creates a more attractive, natural background blur effect.